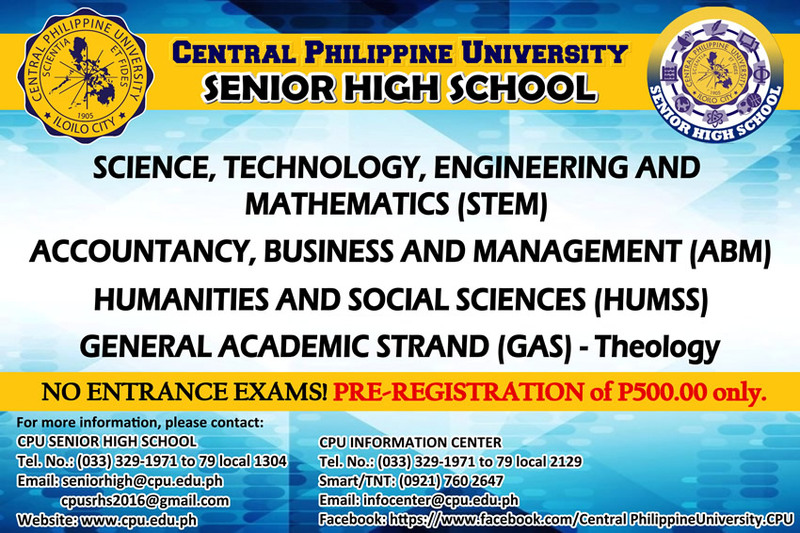 Thank you for considering Central Philippine University (CPU) for your college studies. 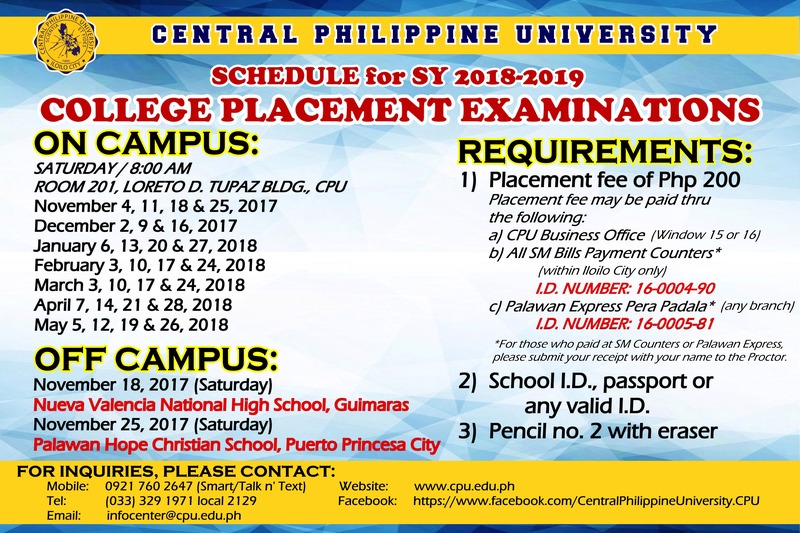 The purpose of the college placement examinations is to determine the ability level of prospective freshmen enrollees for Math and English classes. The examination results are used to place enrollees in these classes accordingly. This is not an entrance test. Some academic programs may require entrance tests on other date/s after the placement examinations as may be needed. 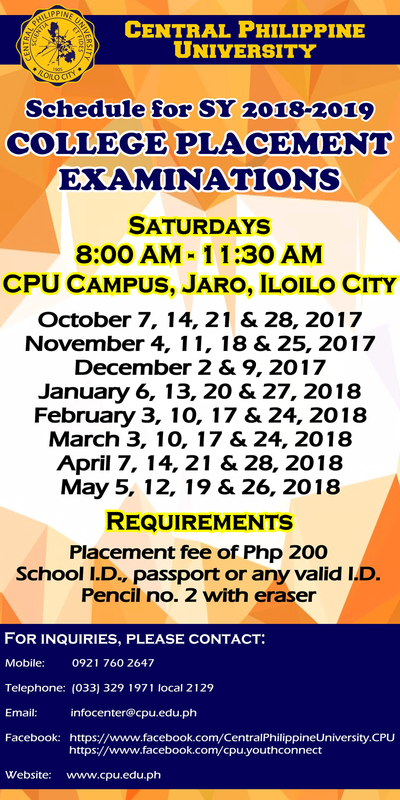 On – campus (within CPU campus in Jaro, Iloilo City) placement examinations schedules are as shown above. Venue: Social Hall, Faith Baptist Church (FBC), No. 4 Bulletin Street corner West Avenue, Quezon City. When traveling to FBC by MRT, get down at SM North Edsa station and take a jeepney or taxi to Kowloon. FBC is beside Kowloon Restaurant. 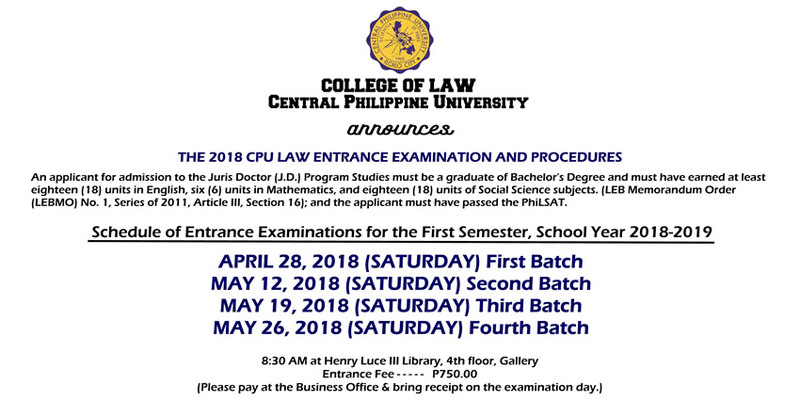 Examinees must be at the venue at least 15 minutes before the start of the examinations. These schedules are also open to local students. The US $50 may be deposited to the Bank of Philippine Islands dollar savings account no. 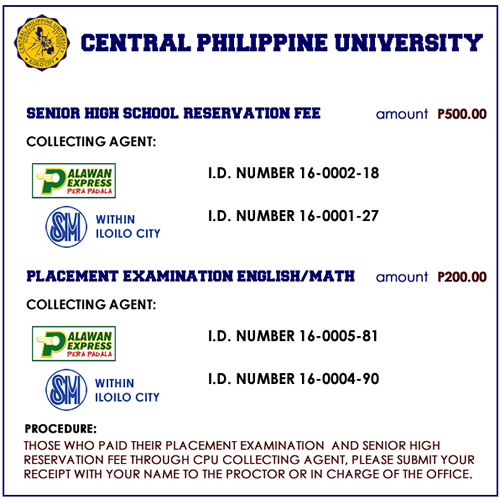 9244-0001-31 of Central Philippine University. 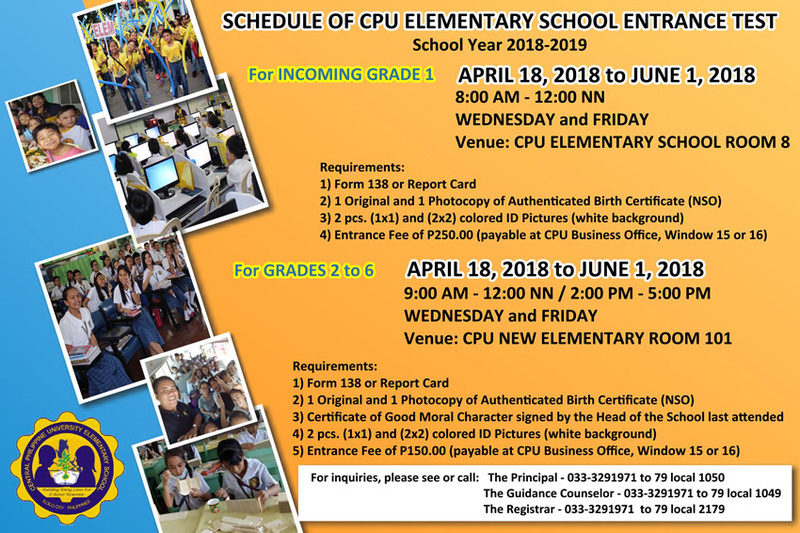 Please email the deposit slip copy to admission@cpu.edu.ph indicating the names of the students. If Basic English and Basic Math for college are approved for credit transfer, the prospective enrollee need not take the college placement examinations anymore. Thus it is advisable that pre-evaluation be completed before taking the placement examinations.